If you are one of the many people who have a great passion for health protection or health maintenance, then you best fit in healthcare jobs. Health care is considered to be one of the fastest and thriving job industries in the world. 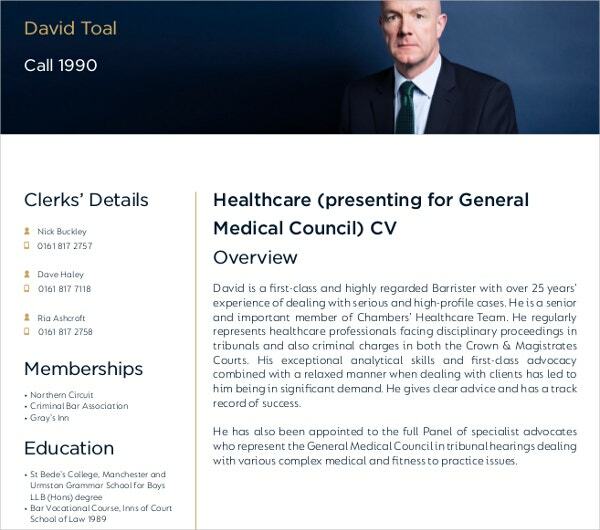 Before you apply for a job, you may be required to send a curriculum vitae (CV) to the medical management. Curriculum vitae writing is an essential part of the job hunting process. However, you may also be required to curriculum vitae cover letters by some hiring parties. 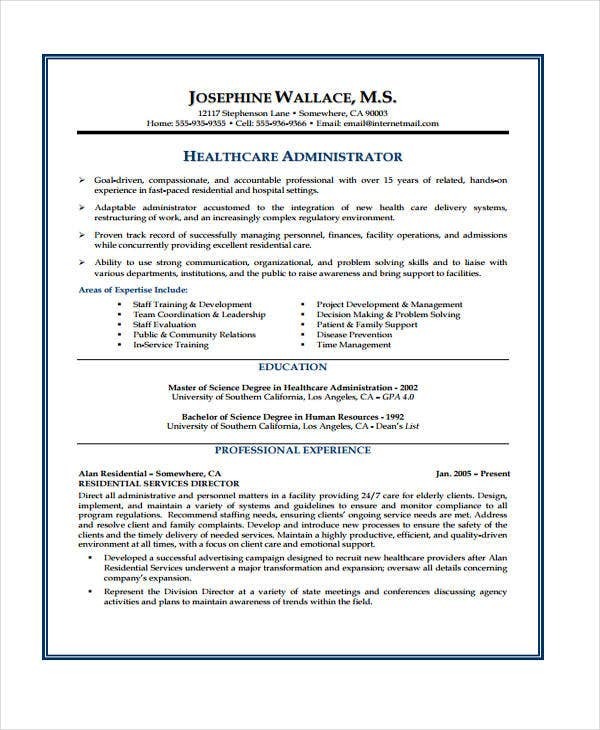 Although a cover letter is your introduction to a potential employer, this article will focus more on helping people on creating CVs that are best for healthcare positions. 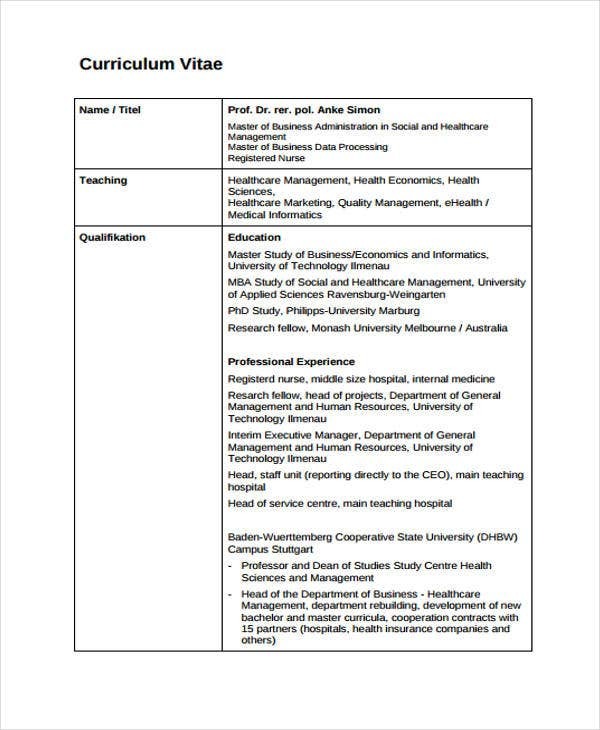 Whether you are a physician, nurse, or a medical student who is applying for an internship CV, it is highly crucial to have a good CV. 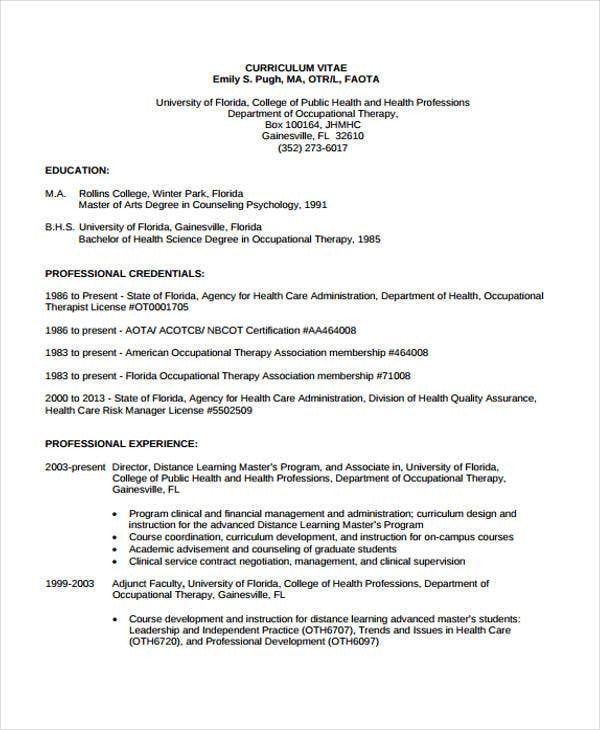 When writing a health care CV, you will need to set a tone of understated modesty no matter what your credentials and professional experiences are and make sure to follow the correct CV format. Start your CV by providing important and relevant details about yourself as well as contact information. It should be followed by your academic background (names of the educational institutions and dates attended). Present your professional experiences in chronological order. Start from the most recent down to the oldest. Make sure to include your achievements and duties for each role. Lastly, list down all your skills relevant to the position. 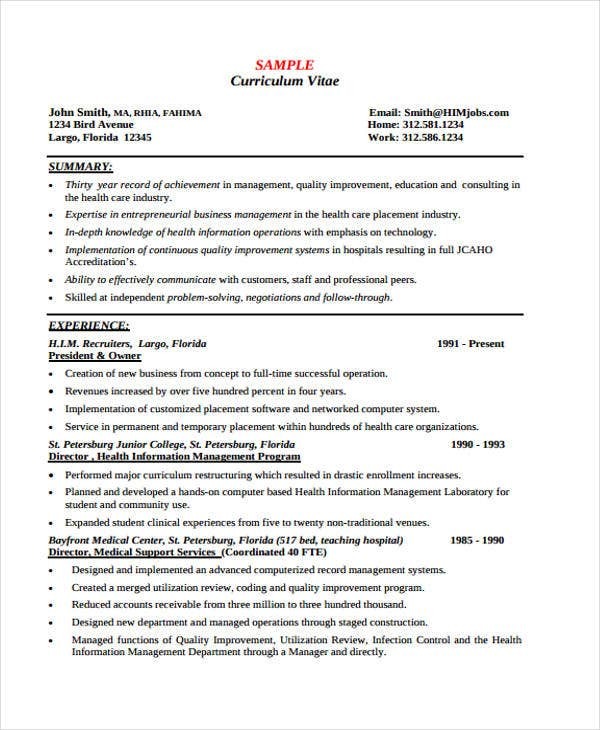 Much like resumes, CVs have also different types, although the latter is more thorough and should include details down to the last fellowship or seminar you attended. 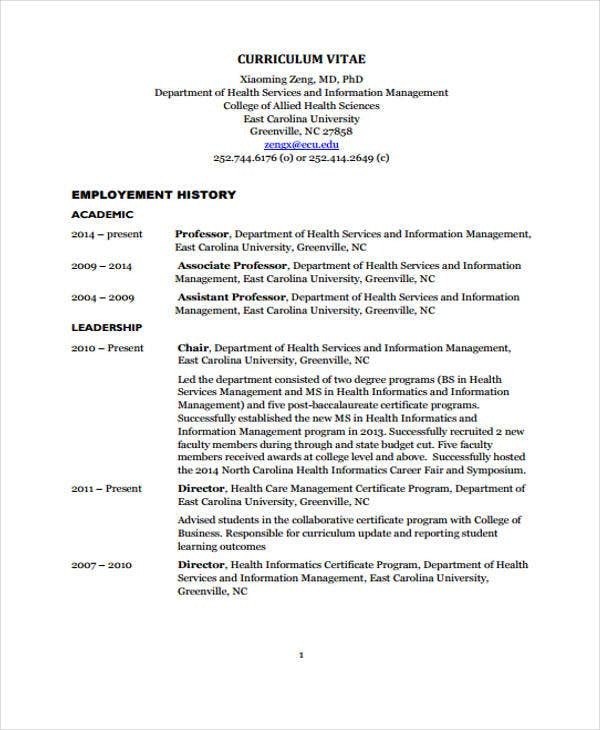 Chronological – Among the other types of CV, the chronological is the most commonly used CV format templates by job applicants. It outlines your academic and professional history from present to past. Use this format when applying for the same position over again. 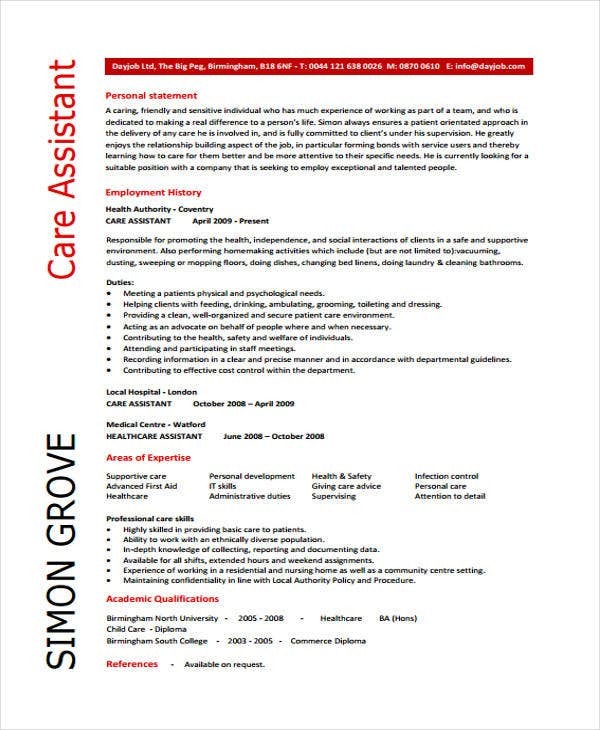 Functional – Unlike the chronological resume format, this type of format is used to emphasize more on an applicant’s skills and achievement. It is perfect if you have gaps in your employment records or when planning to shift to a different career path. 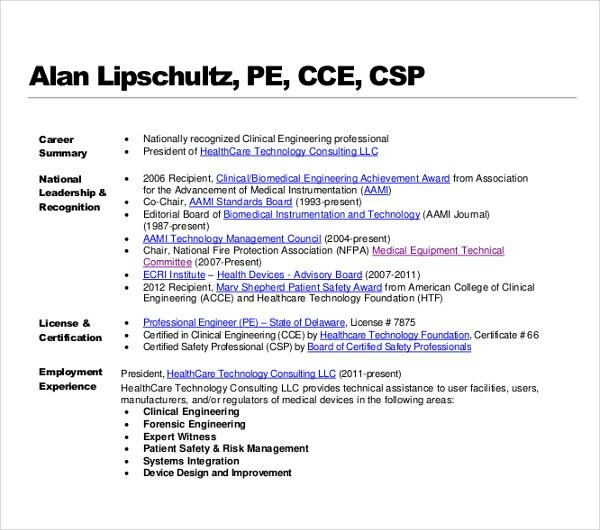 Combined – As what the term implies, this type of CV combines both the chronological and functional format, making it slightly longer. 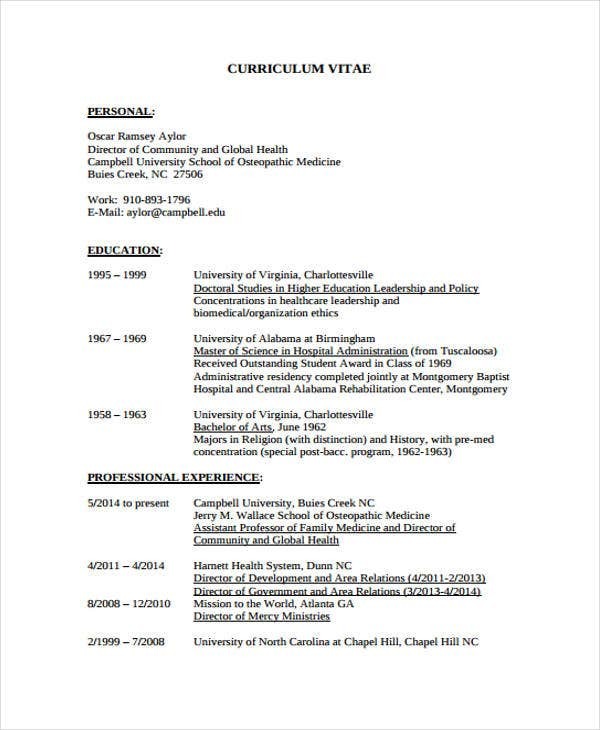 You may want to check out the doctor curriculum vitae template on our business pages. Now that you know the essentials in writing a good CV, how can you make sure that yours will belong to the interview pile and not into the trash bin? Careful and clear presentation of information. When you’re starting out, this shouldn’t be longer than 2 pages. Once experience comes, you could be as rigorous and in-depth as possible. 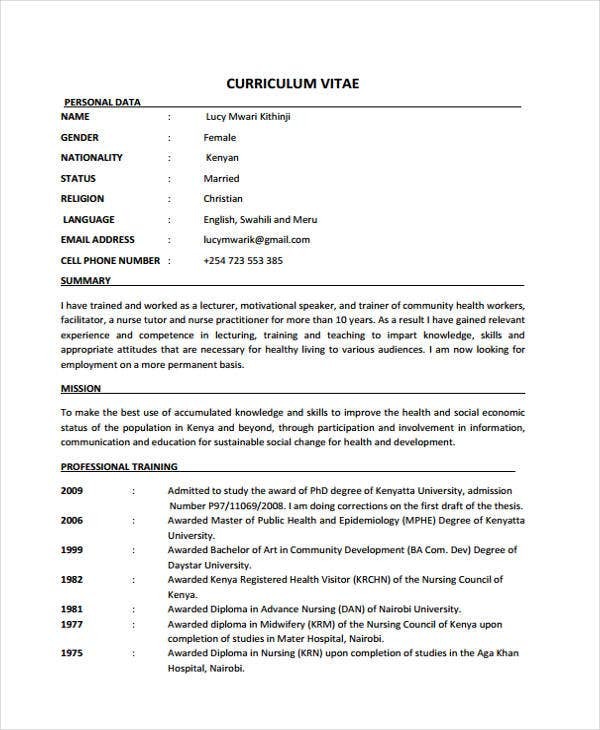 Customize your CV accordingly to the position applied. Effectively highlight the professional experiences or skill sets you want a show to the employer. 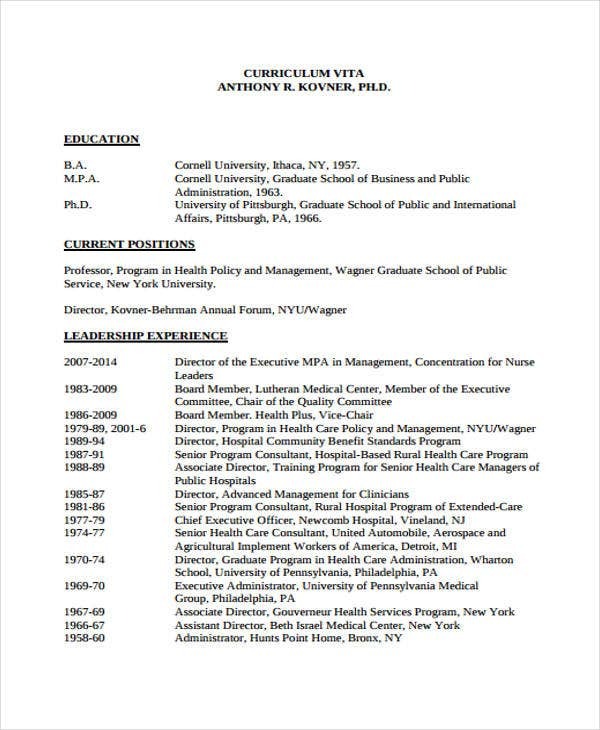 Now that we have reached the last part of the article, do not forget to visit Template.net and download from our collection of curriculum vitae samples.